ETFGI, a leading independent research and consultancy firm covering trends in the global ETF/ETP ecosystem, reported today that ETFs and ETPs listed in the US saw net outflows of US$1.56 billion in January. 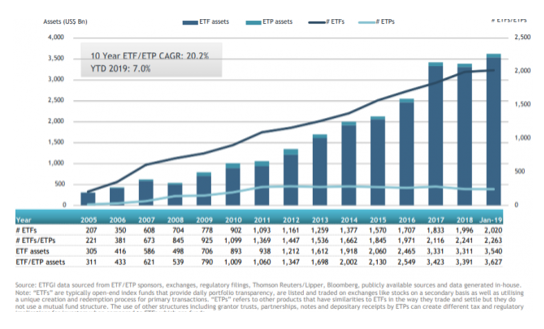 Assets invested in the US ETF/ETP industry finished the month up 6.95%, from US$3.39 trillion at the end of December, to US$3.63 trillion, according to ETFGI’s January 2019 US ETF and ETP industry landscape insights report, an annual paid-for research subscription service. Investors were clearly put to the test in 2018 and one would assume that outflows from U.S. equities in 2018 would also be evident in ETFs that have been purchasing the downtrodden shares in the three major indexes. However, that hasn’t been the case as ETFs received $314 billion worth of inflows despite a challenging 2018–a drop from the $466 billion the previous year, but given the challenges of 2018, an impressive figure nonetheless. That trends appears to be persisting thus far in 2019. Assets invested in the US ETF/ETP industry rise 6.95% in January. During January 2019, ETFs/ETPs listed in the US saw $1.56 billion in net outflows. SPY US, arguably the most famous ETF listed, celebrated its 26th anniversary on 22nd Jan.
“In January, equity markets rebounded from the Q4 ’18 downward spiral that few managed to avoid unscathed. Fed chair Powell revised his stance on where he believes the neutral rate of interest lies, easing fears of a dramatic and painful tightening cycle. Energy declines during the Q4 rout subdued inflation in developed economies taking hiking pressure off central banks while provided stimulus to consumers and businesses, giving stronger core metrics. The S&P 500 finished January up 8.01%, the best January since 1987, while the S&P Topix 150 gained 7.26% and the S&P Europe 350 gained 6.23%. 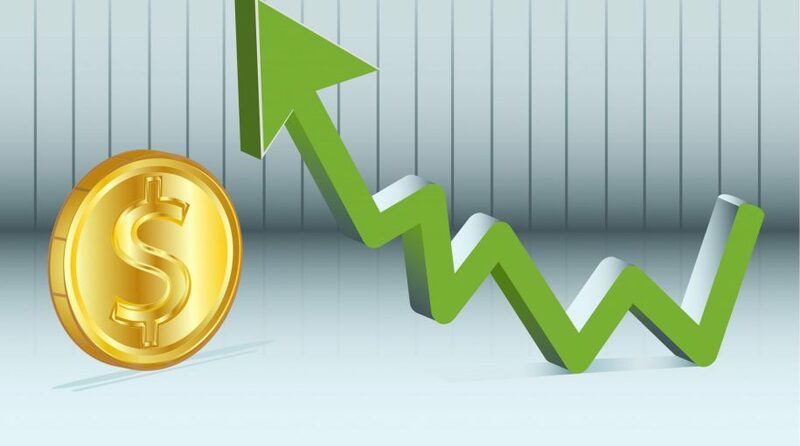 Emerging and Frontier markets were up 7.77% and 4.61% respectively, hampered by dollar strength.” according to Deborah Fuhr, managing partner and founder of ETFGI. At the end of January 2019, the US ETF/ETP industry had 2,263 ETFs/ETPs, from 148 providers listed on 3 exchanges. Following net outflows of US$1.56 Bn and market moves during the month, assets invested in the US increased by 6.95% from $3.39 Tn at the end of December, to $3.63 Tn.